During the week commencing 6th November, St Mary’s welcomed iSingPOP, a singing and recording project led by a specialist vocal coach. iSingPOP helps to promote the spiritual, moral, cultural and social development of pupils and their place in the community. 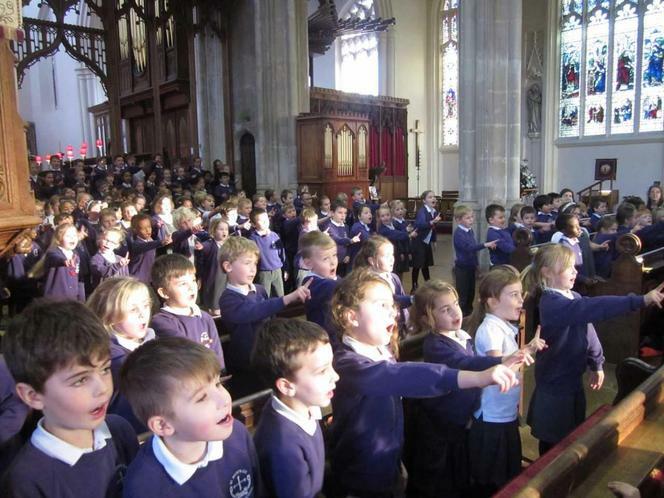 The children learned and performed a number of special songs with actions, which supported the school values as well as the children’s learning in a range of subjects. The children also created a school album with help from the iSingPOP team. On Friday 10th November, the school held a concert in St Mary's Church, where the community enjoyed the fruits of the children’s efforts.